Tamil actor turns producer and signs on Ms Akkineni as the High Priestess in his web series. 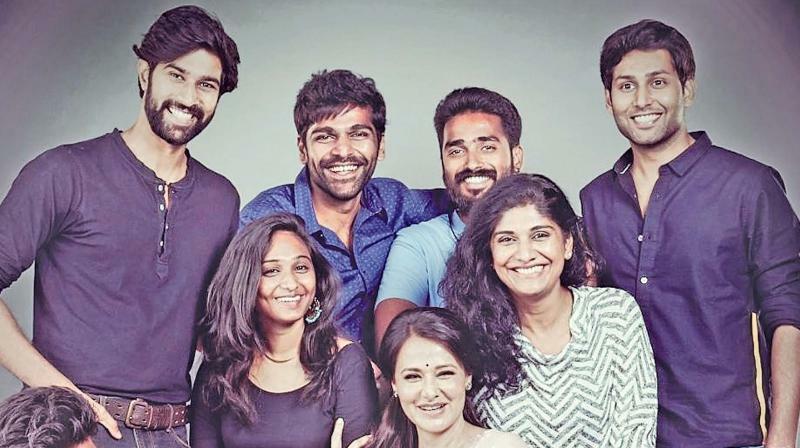 Tamil actor Krishna has turned producer and has brought Amala Akkineni on board for his debut web series titled High Priestess. The title denotes a ‘Major Arcana’ card in traditional Tarot decks and Amala will be seen as a Tarot Card reader and ‘Regression Therapist’. Brahmaji, Varalaxmi Sarathkumar, Sunaina, Vijayalakshmi, Aadhav Kannadasan, Nandini Rai of Bigg Boss fame and GV Prakash’s sister Bhavani will be seen in important roles. The series would be streamed on Zee5 from April 25. Amala Akkineni was last seen in Tamil as the lead actor of the film Karpura Mullai in 1991. In 2012, she made her comeback in the Telugu movie Life is Beautiful. Her more recent films includes the Malayalam movie C/O Saira Banu, made in 2017.